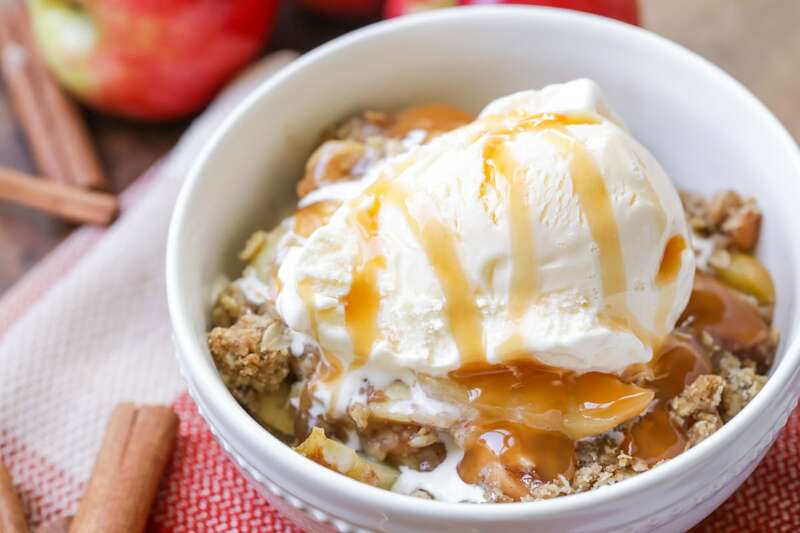 Get ready to fall madly in love with this incredible, flavorful apple crisp Recipe! Filled with baked chopped apple sand topped with crispy streusel crust, everyone can enjoy this delicious dish, especially topped with ice cream! 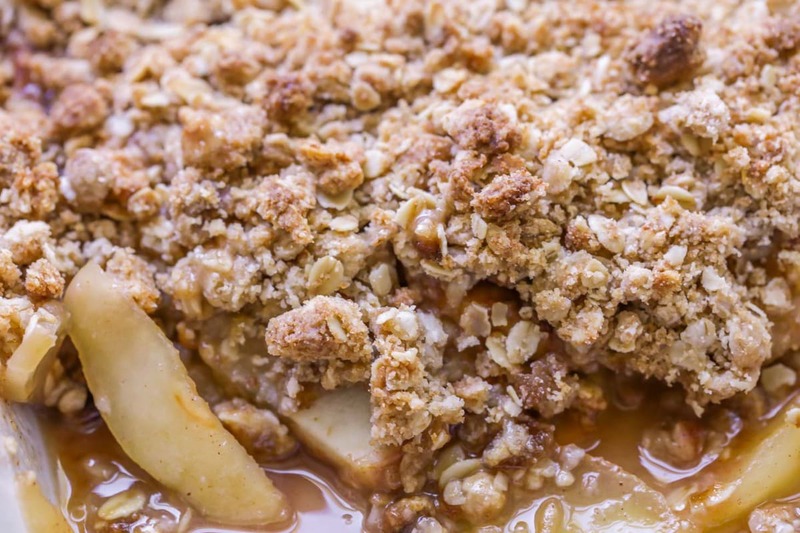 It’s almost like this apple crisp recipe needs no introduction. Those pictures speak for themselves don’t they? This dessert pretty much steals the show. I love the combination of soft cooked apples, crunchy sweet oats, and of course the cinnamon and sugar! There is no stopping my sweet tooth when it comes to apple crisp. 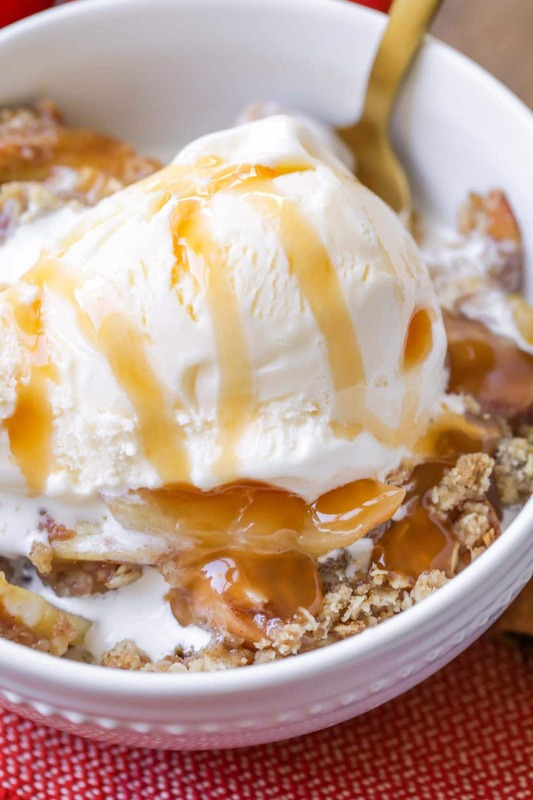 The minute this comes out of the oven it’s game over – time to stop everything I’m doing and enjoy a bowl of this easy apple crisp topped with ice cream and caramel sauce. Although this recipe screams FALL to me, it’s obviously perfect for any day and time of the year. It would be great for a summer BBQ with friends or family. Or just a good late night snack for when you need apple crisp and you can’t deny the craving. It’s also a great alternative to apple pie. It’s easier and faster to make than an entire pie. 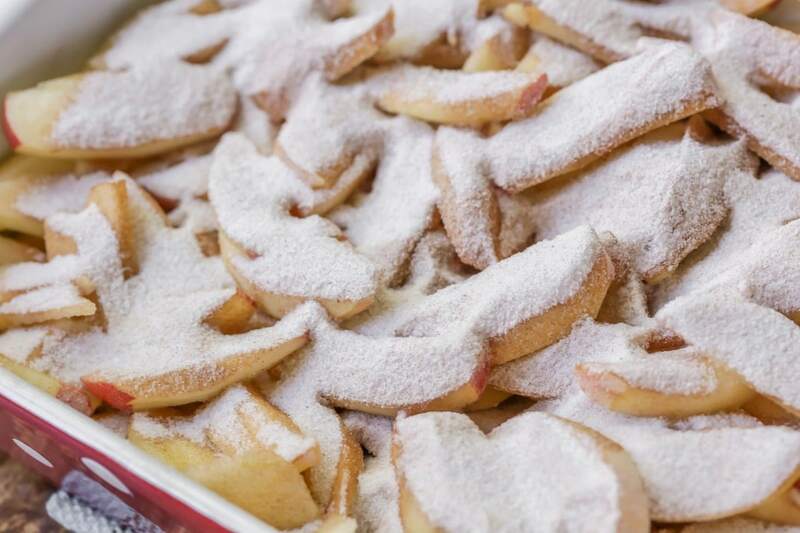 Place your sliced apples into a 9×13 inch baking dish. In another small bowl mix the sugar, 1 tablespoon of the flour, and the cinnamon. Sprinkle evenly over the apples. Pour a 1/2 cup of water over the apples. Now it’s time to make the apple crisp topping! The crunchy sweet topping is what takes this dessert from a 10 to an 11. Yes, please!! Melt 1/2 cup of butter in a medium-sized microwave safe bowl. Add the oats, 1 cup of flour, brown sugar, baking powder, and baking soda to the butter. Mix it well until it’s all combined. Then crumble that topping evenly over the apples in the baking dish. Make sure every inch is covered because you’ll want that topping in every bite. Trust me. Bake your apple crisp in the oven for 45 minutes at 350 degrees. It will be slightly browned on top and the apples should be tender but not mushy. 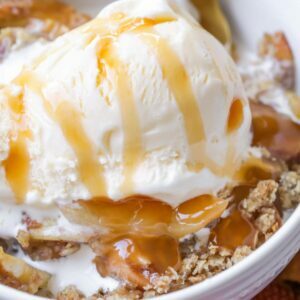 There are so many ways you can enjoy this amazing apple crisp but I like mine served warm with vanilla ice cream and caramel on top. I won’t judge you if you have some of this for breakfast the next morning. I mean it has apples in it, so it’s healthy. I say go for it! 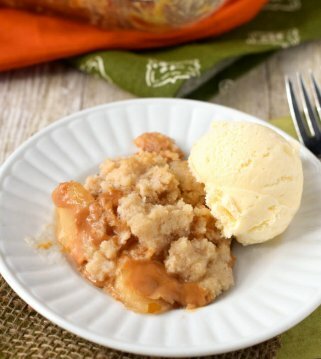 Get ready to fall madly in love with this incredible, flavorful apple crisp dessert! Filled with baked chopped apple sand topped with crispy streusel crust, everyone can enjoy this delicious dish, especially topped with ice cream! Peel, core and slice apples. Place in a 9x13 inch pan. In a bowl, mix sugar, 1 tablespoon flour and ground cinnamon together. Sprinkle evenly over apples. Pour 1/2 cup water evenly over all. Add oats, 1 cup flour, brown sugar, baking powder, and baking soda to melted butter. Mix well. Evenly crumble over your apple mixture. Bake for 45 minutes at 350 degrees F. Enjoy warm!! This looks so good! I can’t wait for the apples on our apple tree to be ready to we can make and eat all the apple things! It is so delicious!! I hope you like it! I’m always searching for that perfect Apple crisp recipe and I can’t wait to try this. Looks so good and super easy! I recently had a childhood friend tell me she always remembered our home having apple crisp. It was never my favorite… I’m more of a cobbler gal, but I think I need to dig this out of my mom’s recipe box. Thanks for the memory. So vibrant, healthy and yummy! This is seriously making me hungry! Thanks so much!! This stuff is the best! This looks so easy and DELICIOUS! 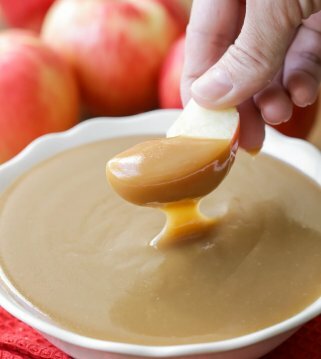 I can’t wait until fall to make all things apple! I am right there with ya!! 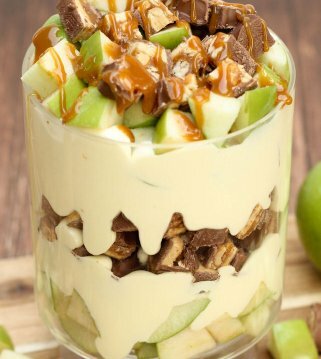 Love apple recipes! I’m with ya!! Thanks for stopping by! Thanks Luna for the great fall recipes. Fall has always been my favorite season ever since I can remember especially when my kids were growing up. I live in Louisiana, so I will be lucky to need a sweater before Thanksgiving. I still enjoy the fall dishes that I look forward to and any new ones like your recipes. Fingers crossed for some fall weather. Thanks again. You are so sweet! Thank you so much for sharing that 🙂 I look forward to Fall, also!